How can you stay focused on your study? The world wide web - the biggest simultaneous help and hindrance to completing homework or study tasks that was ever invented. On the plus side, you no longer have to wade through dry encyclopedias to find an out of date piece of information for your essay. But then again, hello Facebook notifications! So how can you keep your focus in an online, always-on world? It sounds obvious, but this simple action will make a huge difference. 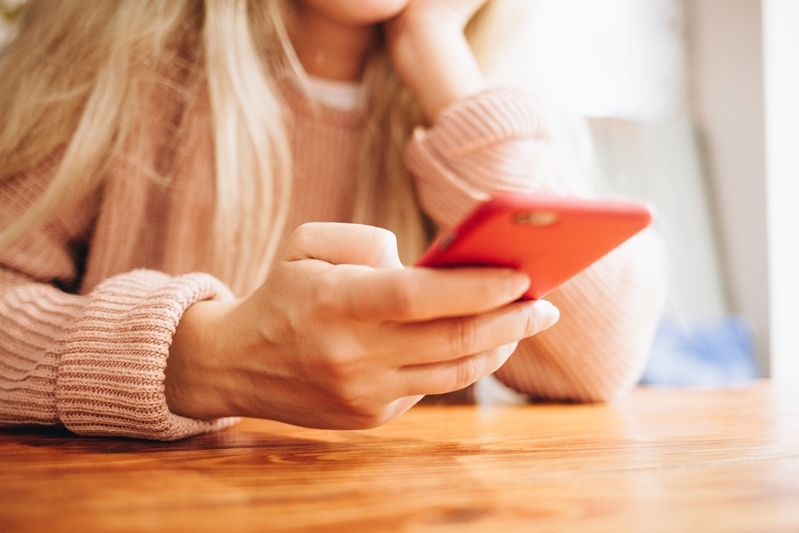 Do you ever feel compelled to answer your texts straight away, check your Facebook notifications as soon as they come in, or simply can't stop scrolling once you hit your news feed? There is a reason, and that reason is a chemical called dopamine. Known as the 'reward molecule', dopamine is responsible for that little rush of happiness you get when you've achieved a task. Studies, such as that on Australian consumers by RadiumOne, have found that we get a little hit of dopamine every time we receive something on our phones. Every time you check your phone you get a dopamine hit - put it away to avoid the temptation! That's why when it's near you, you can't help but check your phone. And you're not the only one - Apple reports that iPhone users check their phone up to 80 times a day, and if we are honest that's probably an underestimate for some of us. So, how can you avoid that delicious boost of dopamine, when the alternative is a relatively dry assignment? It's simple - put it away. Out of eyesight is good, out of earshot is even better. Remove it from your workstation, or put it in the bottom of your bag. Any notifications you get can wait until you're done with your study session! With your phone out of the way, there is only your laptop and the whole of the internet to deal with, right? It's not likely that you're going to be able to do much of your work without access to the internet in this day and age, though if you can just make do with books, that would be a great safeguard against online distraction. If you can't resist the occasional sneaky peek at your news feed, or have a tendency to get lost in fascinating, but totally irrelevant, Wikipedia articles, it's time to bring in some enforced self-control. For your laptop, try the free app Self Control, or Cold Turkey for non-Mac users. They work by blocking access to any site you blacklist for a set period of time. But be warned, once the timer is started even deleting the app won't stop the block! Why not try using an app to block you from your favourite procrastination websites? The place that you go to work can have a big impact on how well you focus. As a general rule: loud, busy places which have a lot distractions will make focusing on your work very difficult. Obviously sometimes this is unavoidable, but finding a quiet space where you can set up your things and sit comfortably is bound to help you concentrate on the task ahead. If possible, try to reserve one particular place to study, be that the public library or a specific desk in your home. This will help you to get in the right frame of mind as soon as you sit down to begin your work. The hardest part of any task is always just getting started. If you find yourself constantly putting off your work or immediately running out of motivation when you do finally sit down to start, scheduling your time is a great way to focus yourself. 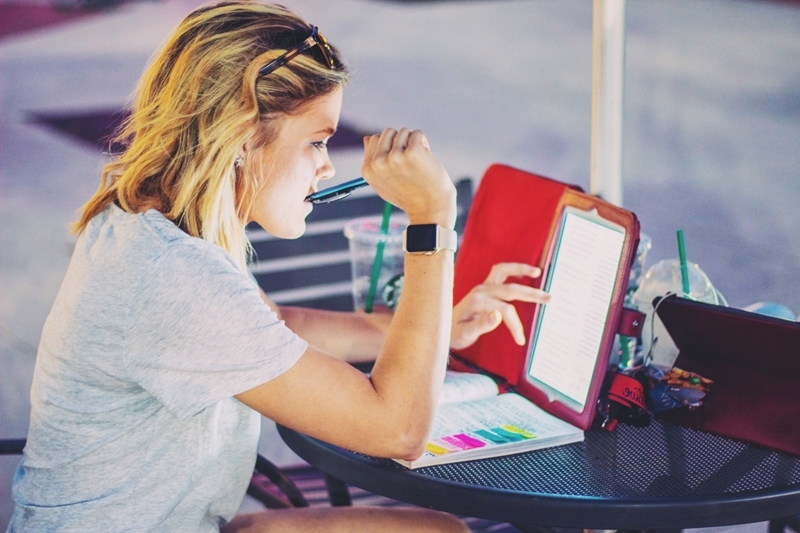 By allocating certain hours to your study and homework tasks (and sticking to them) you don't allow yourself to constantly avoid the work and can relax in the knowledge that you are well-prepared for your classes. If you're stuck on a study question, or want a second set of eyes over a written assignment, why not try Studiosity? Our subject specialists can provide you with one-to-one personal help in real time, or really useful feedback on your draft. See if you have free access through your education provider already, or set up a personal account with us.